Trade pins and badges at the Darkmoon Faire! 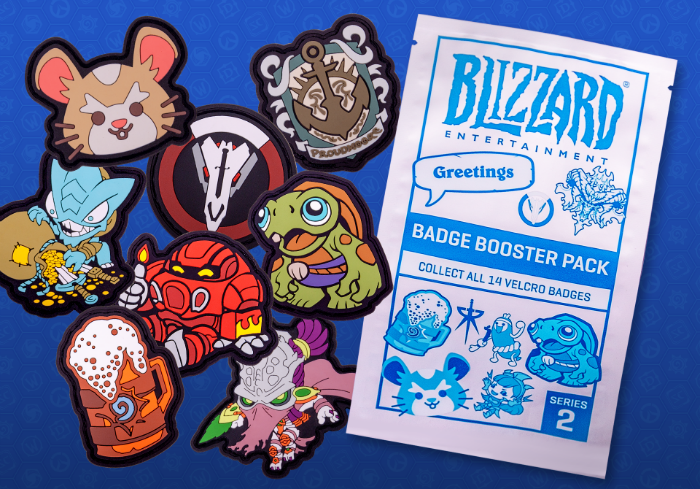 The mysterious Darkmoon Faire returns to BlizzCon this year (North Hall, Level 2), and in addition to all the wondrous sights to behold, you’ll discover a host of new trading opportunities for Blizzard Collectible Pins and Badges. 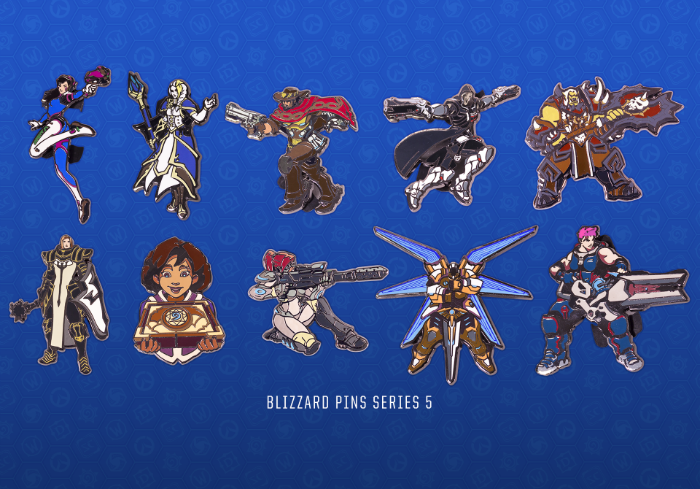 The Series 5 pin packs will feature one of 10 new character designs: D.Va, Reaper, McCree, Zarya, Jaina Proudmoore, Saurfang, Mecha Tyrael, Ghost Kerrigan, Crusader, and Ava. 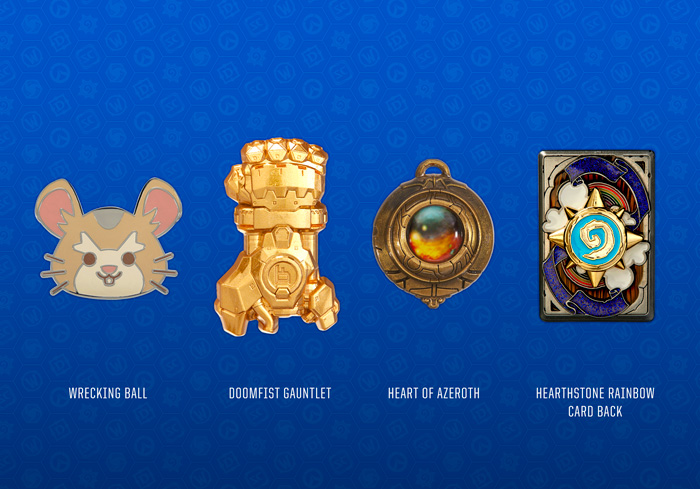 Each character has a sculpted gold variant, meaning there’s a total of 20 new pins to collect. No time for trading? 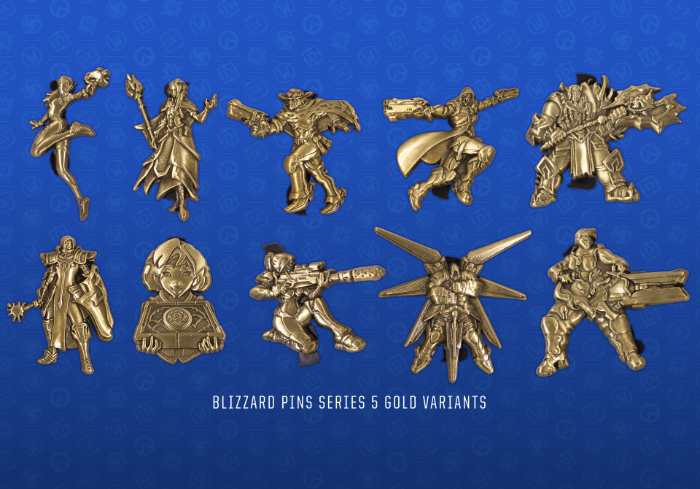 We’re introducing the complete Blizzard Series 5 Pin Set. 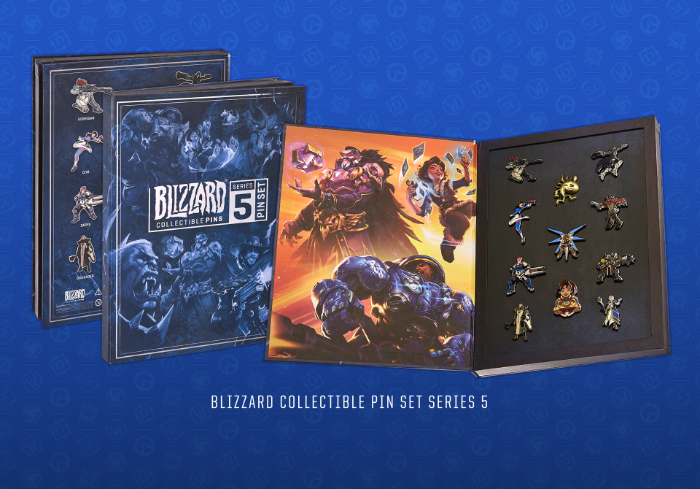 This limited-edition box set features one of every standard Series 5 pin (sculpted gold pins not included), along with a Prime Evil Diablo Merchy pin exclusive to the Pin Set. There’s also a new pin collector lanyard to display your collection, which includes a bonus pin. Did you visit us at BlizzCon last year? 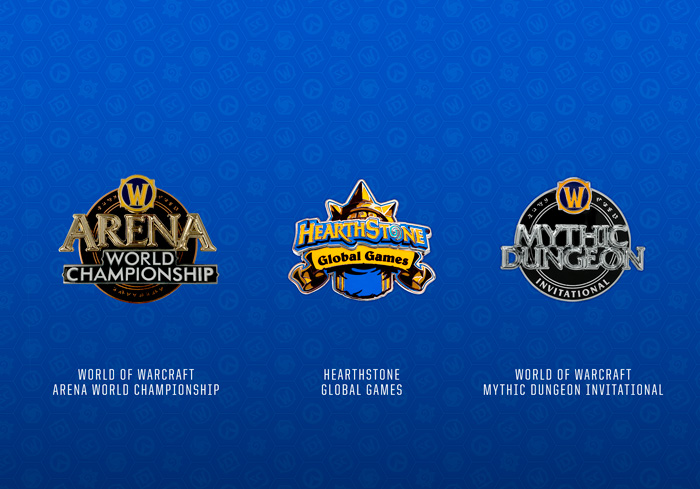 You may want to save some luggage space for your BlizzCon backpack, because the official Blizzard badges are back! 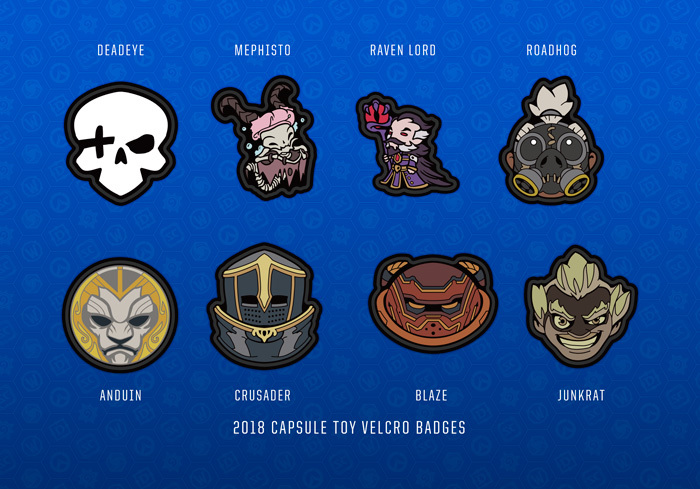 You’ll find the following new designs in the Series 2 Badge Packs. This year, the Capsule Toy Machines in the Darkmoon Faire are becoming Capsule Badge Machines! Same machines; same prizes; new badges to collect. What if you don’t have the backpack from last year? Don’t worry, we’ve got you covered. 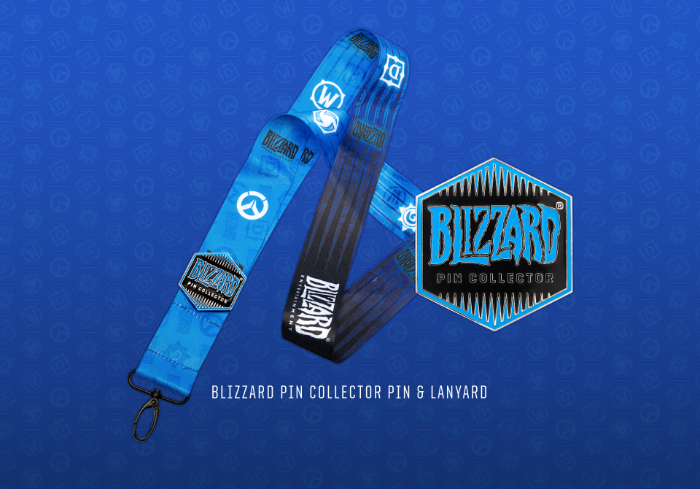 BlizzCon Badge Starter Kits and a new Blizzard Badge Snapback Hat will be available for new and returning collectors. 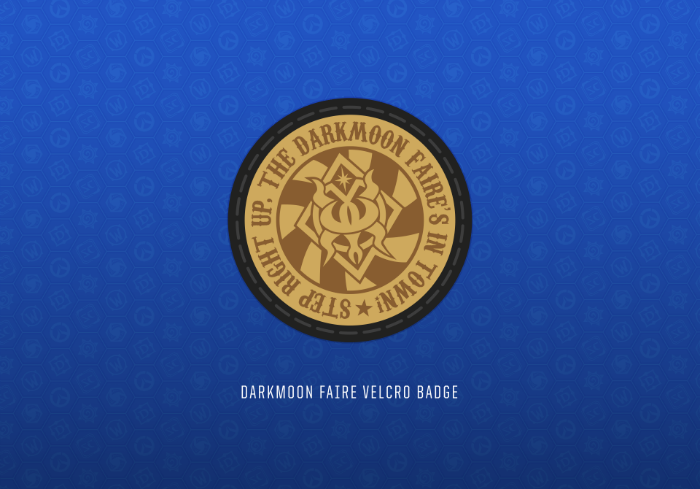 Also, if you make a purchase at the Darkmoon Faire and you’ll receive this exclusive new badge. You’ve got pins. You’ve got badges. It’s time to trade! We’ve expanded the open trading area in the Darkmoon Faire into a Blizzard Bazaar of tables, barrels, and helpful “blue shirts” to assist attendees in trading any Blizzard collectibles. Last year’s Pin Trading Booth is doing double duty this year. On one side of the booth, you can queue for pin trading, with badge trading being featured on the other side. Collectors can trade up to two different badges/pins at a time. Trades are one badge/pin for one badge/pin, respectively. A gold pin can only be traded for another gold pin. The pin board will accept any Series 5 pins. The badge board will accept Series 2 Badge Pack badges and Capsule Toy Badges. The Timewalkers’ Trading Post returns to the Darkmoon Faire, and its enigmatic proprietors have procured a brand-new item: the Timewalkers’ Treasure Chest, a mystery box full of items from BlizzCons past and present. Good luck, have fun, and we’ll see you at BlizzCon! "I love the smell of nether in the morning. It smells like... ... victory"